Dr. Edalat obtained his Doctor of Dental Surgery (DDS) degree from University of Southern California (USC) in 2008. While at USC, he was recognized for clinical and community excellence. After practicing as a general dentist, he went further in training to receive his certificate of Endodontics from the University of Southern California (USC), School of Dentistry. He studied under Dr. James H.S. Simon, past president of the American Board of Endodontists. Dr. Edalat is a Board-eligible member of the American Board of Endodontists, and maintains active membership in numerous professional associations. 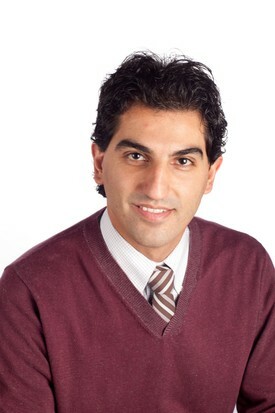 "I had been with another dental office, but saw Dr. Barsoum's office for a specialty (Endo). My first interaction was with Dr. Barsoum; let me tell you.. this man is very kind, caring, and so professional! I really like how he goes over and beyond for the patient experience. Dr. Edalat is also a class act. He is so gentle with his hands. He performed a root canal on me.. I promise you, I felt nothing, and I even went to work that same night for 12 hours with no pain meds or issues. I also liked how Dr. Barsoum PERSONALLY calls you, the patient, the evening of your visit to see how every thing went, to see if you have any concerns or are in pain. That says a lot! Most doctors don't care what happens to you after you leave their office, but Dr. Barsoum does, and I highly respect him for that. I recommend Dr. Barsoum and Dr. Edalat for all of your dental needs. These doctors are amazing!" "I had to have a root canal re-done that another dentist did incorrectly. Dr. Edalat made sure I was comfortable at all times. He was done before I knew it and didn't feel any pain at all. The entire staff are wonderful." 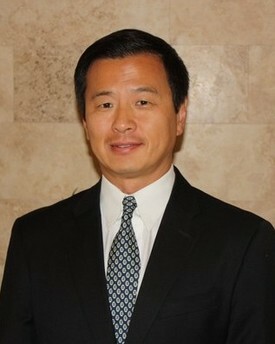 Dr. D. Craig Chen attended UC Irvine for his undergraduate studies. He graduated from the USC School of Dentistry and also completed his endodontic residency there. For the last ten years, he has been a part-time faculty member at the USC School of Dentistry. He is a member of the ADA, CDA, OC Dental Society and the American Association of Endodontists. He has lived in Orange County for over twenty years, currently residing in Irvine with his wife and their two children. Dr. Chen enjoys surfing, snowboarding and swimming in his time off. "I am a regular patient but had to come in same day as an emergency when I developed severe pain. They were able to fit me into the schedule with no issue. I was treated amazingly well by all of the staff. I was very nervous when they told me I would need the first phase of a root canal but they reassured me and the procedure was pain-free. The doctor and his staff are very attentive and are concerned with making sure you are comfortable at all times. Couldn't recommend them more, they are all great from Vicky up front to the MD and all of his staff." "The staff are wonderful and friendly. Dr. Barsoum is the most caring Dentist I have ever met. I went in for two fillings and a root canal. I was excepting it to be very painful, but to my surprise it was not. Dr. Barsoum took really good care of me when I was there and he even makes "check up" call to make sure I'm doing fine. Over all, my experience there was just WONDERFUL!" "I don't normally make reviews, but I feel compelled after having such a great experience. I suffer from dental phobia/anxiety. I mean it is so severe that I have to take valume before my visits. well, I use to... My root canal went so smoothly that I was able to sit through my next appointment on my own. I don't think words can explain how good the Dr. and his staff are at making you comfortable and at ease. This is definitely the place for someone who has had bad experiences in the past." "This was the best dental experience ever. I had a root canal here, I never felt 1 bit of pain during the procedure, nor at any point after even without pain medication. Prices are very competitive. You would be considered crazy to go anywhere else for dental work." "Had to have a root canal and a couple fillings on Friday, the 6th. Dr. Barsoum and his staff are awesome. They are 110% committed to your comfort. I had a rather long appointment and they made it as pleasant as possible. I think I've found my dentist for life!" "I have had a good experience at Dr. Barsoum's office. So far I've had a crown procedure and Dr. Barsoum's associate did a root canal. The staff did a great job rushing the permanent crown as the temp glue caused an allergy. Dr. Barsoum is very attentive and the procedure didn't hurt at all. The root canal went well, no pain during the procedure. The professional staff who assist the Dr. are also attentive, efficient, and there has been no waiting. I highly recommend Dr. Barsoum and his associates." Endodontists are dental specialists that primarily focus on treating diseases that occur in the tooth's pulp. The majority of an endondotist's work revolves around endodontic or root canal therapy, which is the primary means of treating infections of a tooth's pulp in order to prevent the tooth from needing to be extracted. As well, endodontists may also perform a variety of other endodontic treatments and surgeries in cases where root canal therapy was unsuccessful. All dental endodontists attend four years of primary dental school followed by additional two to three years of specialty endodontist training. This means that when you visit Barsoum Dental for root canal therapy or any other tooth pulp treatment, you can rest confident knowing that you'll be receiving world-class care from highly-trained specialists with the knowledge and experience to ensure your treatment has the greatest possible chance of success. 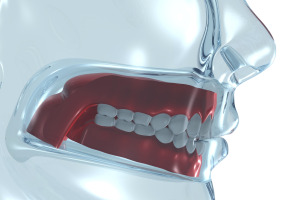 We understand the extreme pain and persistent aching that an infection of the tooth pulp can cause, and our professional team will make every effort to make sure you're as comfortable as possible before, during and after your endodontic treatment. If you're experiencing severe pain due to a tooth-pulp infection, root canal therapy can help eliminate the pain, while also improving your overall oral health and helping to prevent more serious issues from arising in the future. Although most people dread hearing the word root canal, it really is the only option to stop the pain and save you from having the tooth pulled. At Barsoum Dental, our team is made up of some of the most trusted endodontists in the area, each of whom has years of specialist experience. Our endodontists will put this experience to work for you, offering you the highest quality endodontic treatments in a safe, professional, relaxing environment. Our goal is to take the pain and worry out of root canal therapy in order to ensure you get the help needed to improve your oral health and hopefully save your tooth. What Happens When You Ignore A Tooth That Needs A Root Canal?